This was quite a gentle gradient but I thought it was really pretty. I am loving Cinderella! On my right hand I only did a gradient and decided to go for purples instead, so I used Sinful Colors Purple Diamond and Amethyst, and Sally Hansen Complete Salon Manicure Loves Me Not. 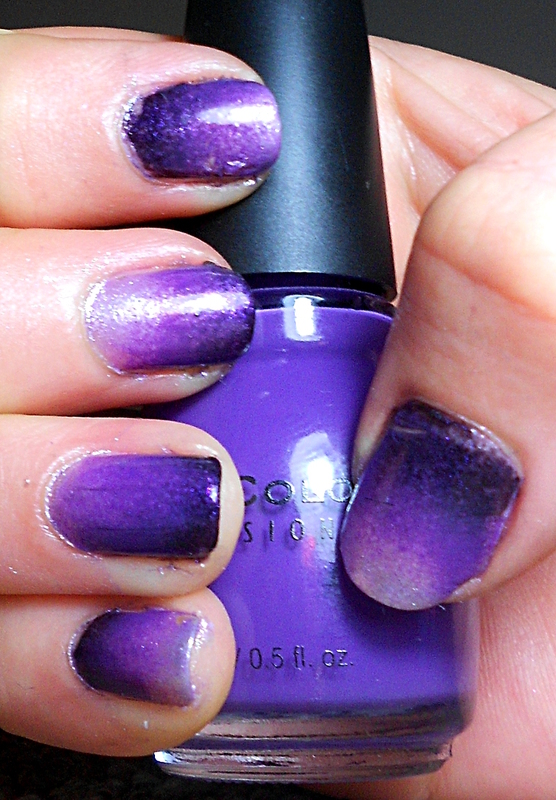 Sorry for the super awkward right-hand pose and messy cuticles! For my left hand, I then did the water marble. 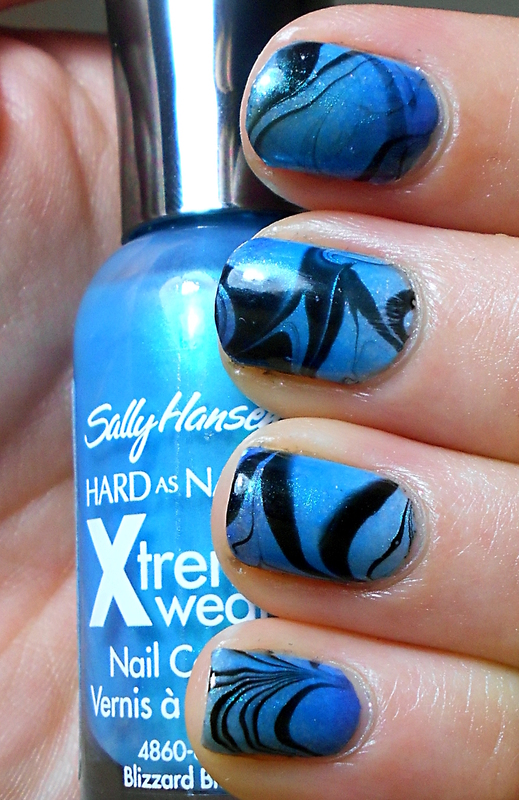 I used Sally Hansen Hard as Nails Xtreme Wear in Black Out and Blizzard Blue. Blizzard Blue is extremely sheer, so you could still see the gradient beneath (although it did become slightly masked by the marble). I really liked how my thumb came out on this one. And I am loving the blues! Fantastic marble!! 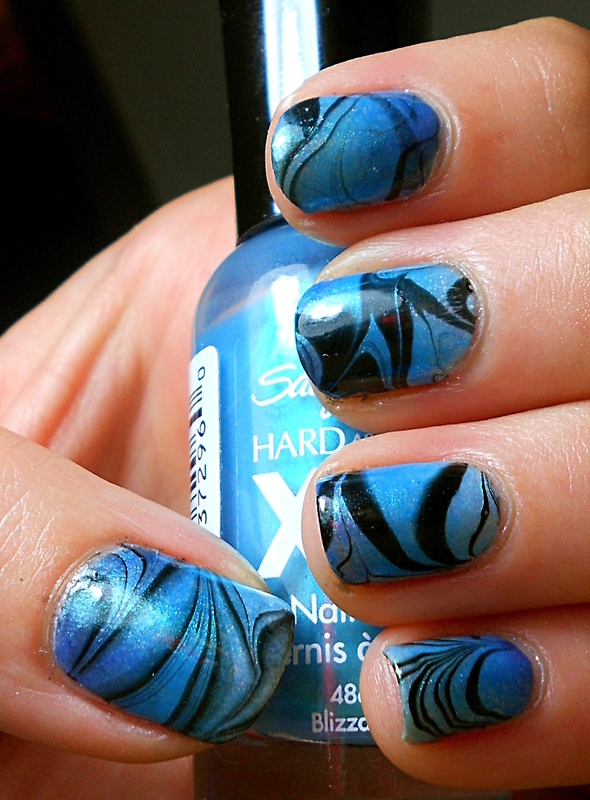 The gradients are gorgeous (both) but add the water marble and its fantastic! Love! I love the blue marble! Gorgeous! 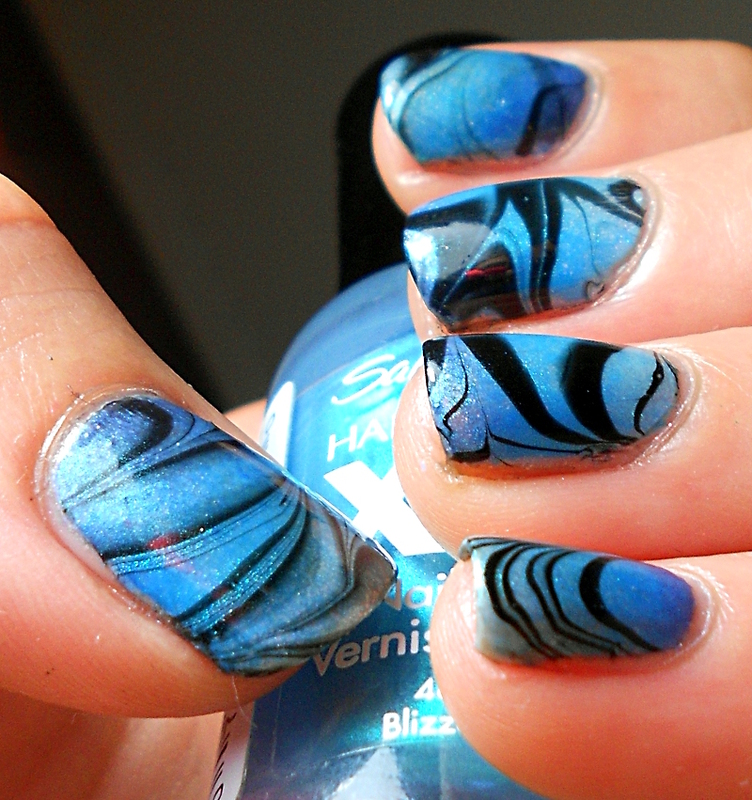 And I must definitely use blizzard blue for marbling purposes! You come up with the best polishes to use for marbling! 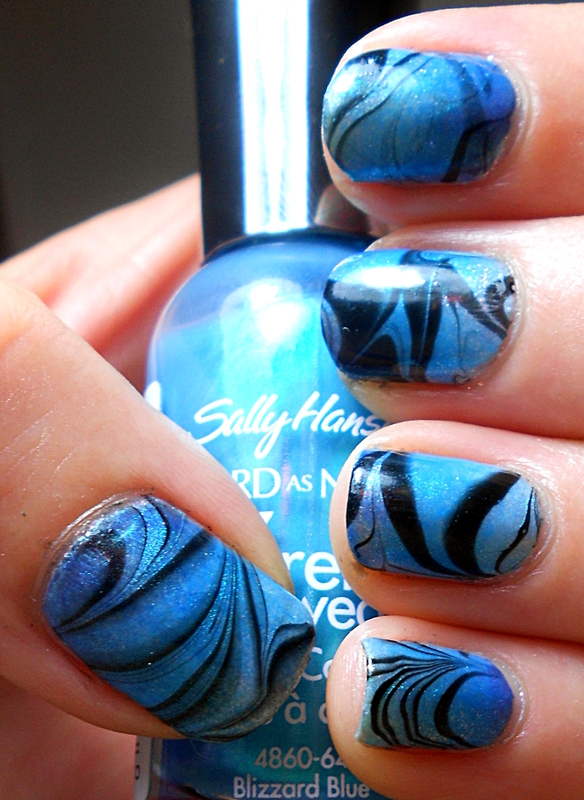 Really stunning watermarble. Gorgeous hun! 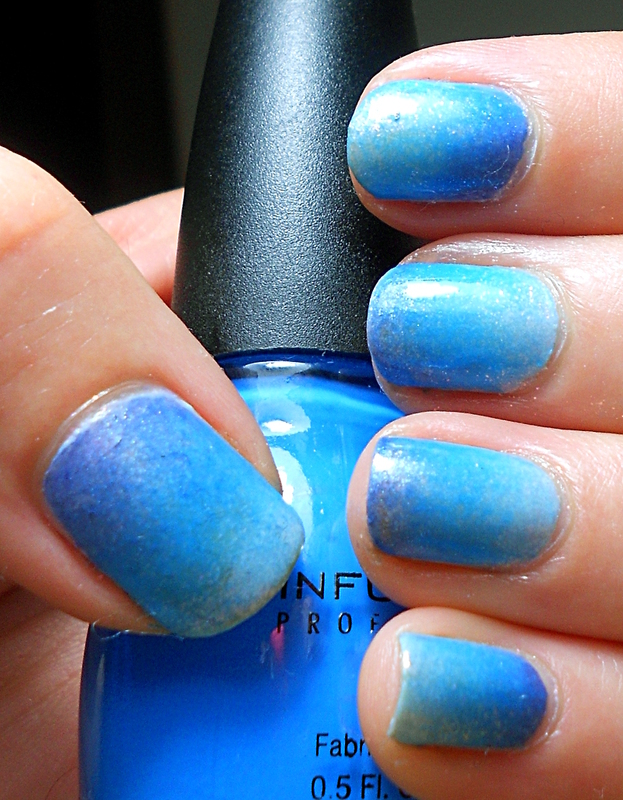 i really like the blue gradient, it reminds me of the sky!